Receive online payment with instant order confirmation with this PayTabs Express Checkout module for Sendroid Ultimate. Ideal payment solutions for your internet business. PayTabs offer you one-stop revolutionary solutions for all your requirements to manage your business online. Receive an entire ecosystem of online payment services as per your requirements and operate your business securely. 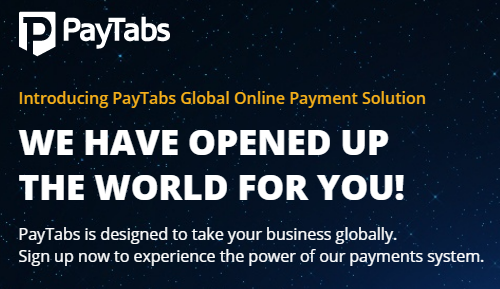 PayTabs is designed to take your business globally. Sign up now to experience the power of our payments system. Ynet Interactive Ltd. is a Nigeria based Information Technology solutions outfit. We focus on delivering high-performance and scalable web, software & ICT products and solutions to different industries. We have experience of developing and maintaining successful software products, mobile applications, eCommerce portals, marketplaces, social networks, real-time business analytics and composite sync and integrations. © Ynet Interactive. All rights reserved.